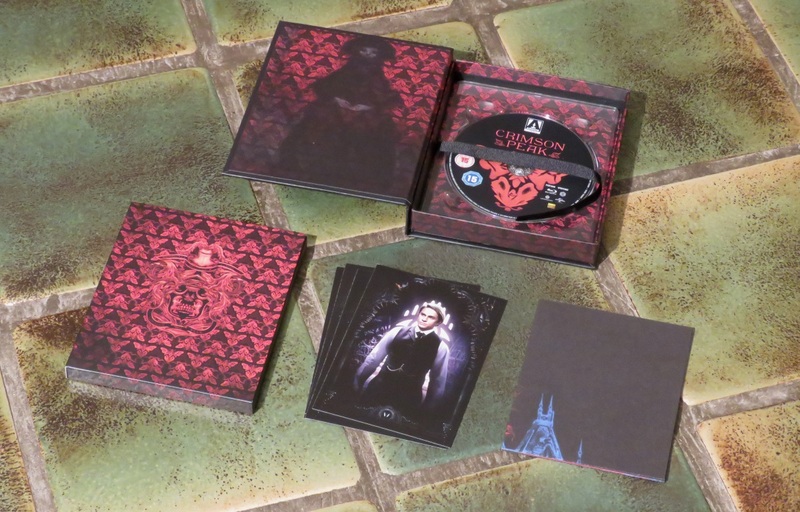 It's been a while since I put an Arrow release up for a Pretty Packaging article, but their recent Special Edition of Guillermo Del Toro's Crimson Peak sure convinced me to write one up. Their release comes with plenty of extras, on-disc and off-disc, but most importantly for this topic: it looks damn good. 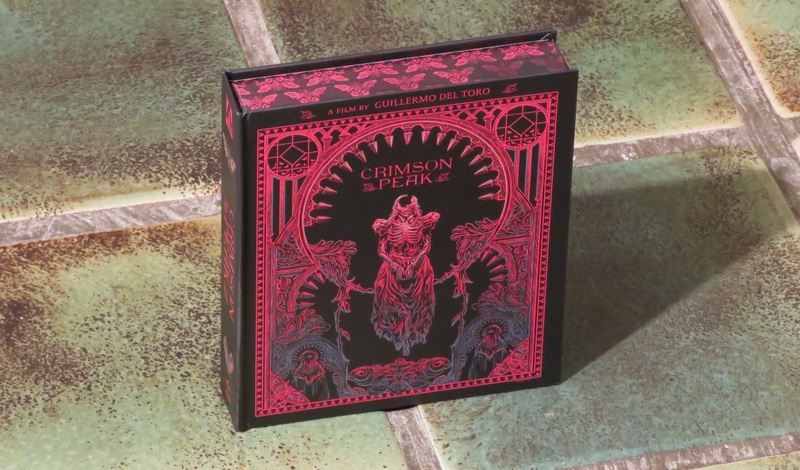 So here is a closer look at the splendid packaging job Arrow did, by way of a gallery of shots. Click on the edge of the pictures to scroll through them, or at the center of each to see a bigger version. 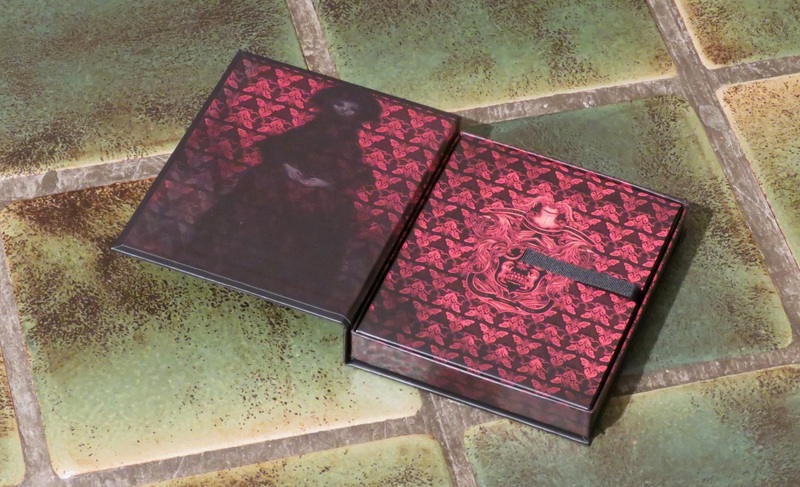 And here it is: a sturdy and gorgeous box. The box, opened, shows a ribbon to easily dislodge its contents. The contents taken out. 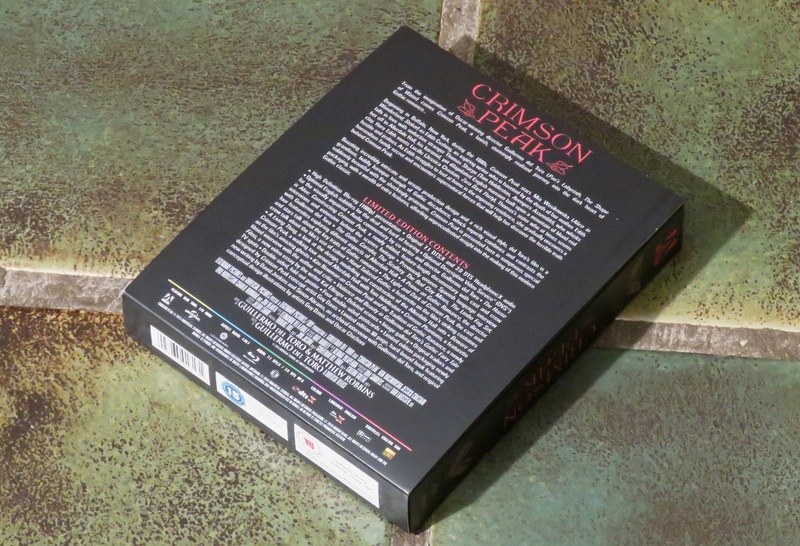 There is an 80-page hardcover booklet, a set of cards, a poster, and the bottom of the box is the disc-holder. All contents opened and displayed. 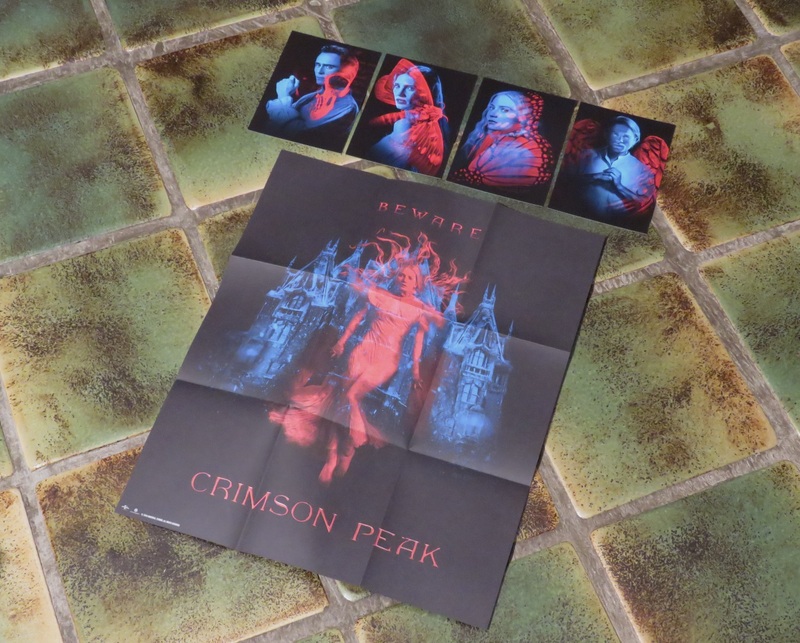 The poster and cards are reversible. 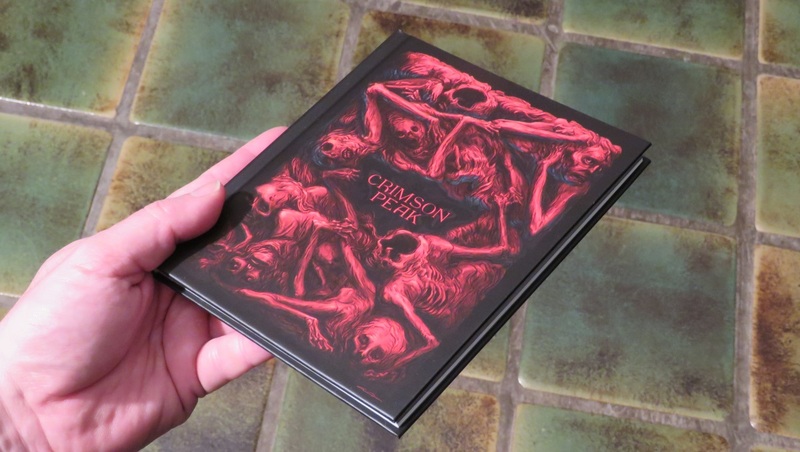 A closer look at the hardcover booklet. Its eighty pages are filled with essays, interviews and design art. A great extra! The (back-)end of this gorgeous release. Well done, Arrow!